11/2018 If you're looking for prints of my artwork... good news! Archival museum quality giclee prints of some of my illustrations are now available through Society6. They come in multiple sizes and can be ordered framed or unframed. 9/2018 Lighter Than Air was selected by the Society of Illustrators to be included in their exhibit of the best children's books of the year, The Original Art 2018! The exhibit opens on November 8 at the Society of Illustrators in New York City. 4/2018 The National Council for the Social Studies and the Children's Book Council selected Lighter Than Air for the Notable Social Studies Trade Books for Young People 2018 list. 12/2017 Red & Lulu finished 2017 in style, with five consecutive weeks on the Indiebound National Bestseller List! Thanks to independent bookstores across the United States, and thanks to everyone who bought a copy! 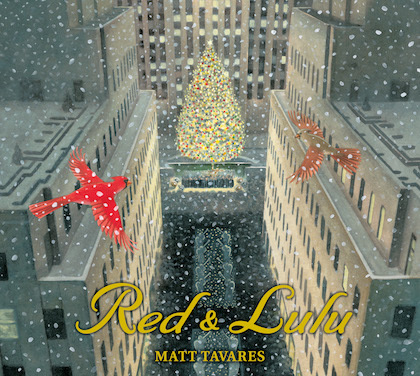 12/2017 Red & Lulu hit #5 on the Indiebound National Bestseller List for the week of 12/6/17! 11/2017 Red & Lulu made its debut at #10 on the Indiebound National Bestseller List for the week of 11/29/17! 9/2017 Red & Lulu was selected by the Society of Illustrators to be included in their exhibit of the best children's books of the year, The Original Art 2017! 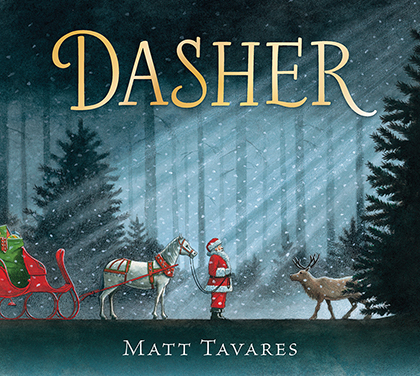 The exhibit opens on November 2 at the Society of Illustrators in New York City. 9/2017 Red & Lulu got a starred review in Publishers Weekly! 8/2017 I'll be traveling around quite a bit this fall reading and signing Red & Lulu. Here's where I'll be. Come say hi! 5/2017 Crossing Niagara made the Bank Street Best Children's Books of the Year, 2017 list! 4/2017 Red & Lulu (coming in September) is a Junior Library Guild Selection! 2/2017 Lighter Than Air is a Junior Library Guild Selection! 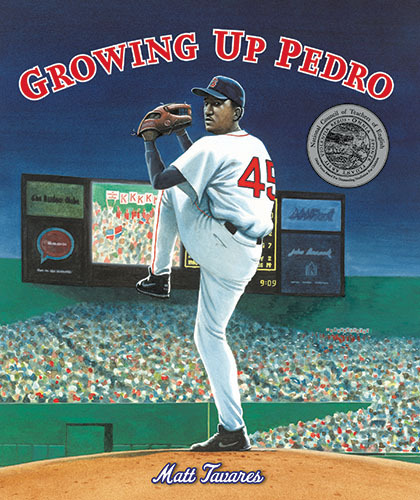 10/1016 Growing Up Pedro won a Massachusetts Book Award Honor! 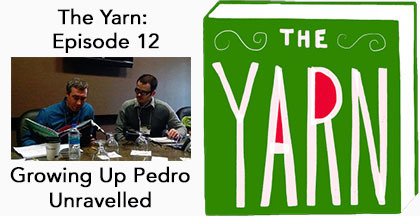 9/1016 Growing Up Pedro won an International Latino Book Award! 6/2016 Growing Up Pedro won an Americas Award Honorable Mention! 5/2016 Helen's Big World won the California Young Reader Medal! 4/2016 Growing Up Pedro won the 2015 Lupine Honor! Thank you, Maine librarians! 4/2016 Growing Up Pedro made the 2016-2017 Maine Student Book Award list! 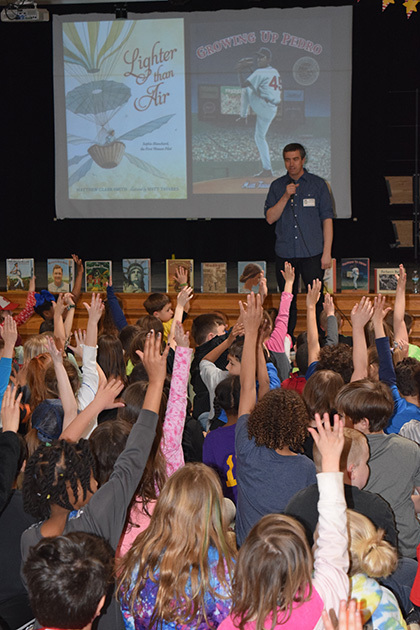 3/2016 Growing Up Pedro and the "Candlewick Biographies" edition of Henry Aaron's Dream both made the Bank Street College Best Children's Books of the Year, 2016 list. 1/2016 Growing Up Pedro was named a 2016 ALA Notable Children's Book! 1/2016 Growing Up Pedro won a Nerdy Award! 12/2015 All the Wonders named Growing Up Pedro one of the Best Nonfiction Picture Books of 2015! 12/2015 Growing Up Pedro made The Huffington Post's Best Picture Books of 2015 list (Best Biography, Honorable Mention)! 12/2015 The Chicago Public Library named Growing Up Pedro to their Best of the Best Books 2015 list! 11/2015 Growing Up Pedro was named a 2016 Orbis Pictus Award Honor Book! 10/2015 Growing Up Pedro was selected by the Society of Illustrators to appear in their exhibit of the best children's books of the year, The Original Art 2015! The exhibit opens on October 29 at the Museum of American Illustration at the Society of Illustrators in New York City. 7/2015 Growing Up Pedro made the 2015-16 Alabama Camellia Award list! 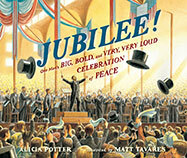 6/2015 The Massachusetts Center for the Book selected Jubilee! as a Must-Read Book of 2015! 4/2015 Growing Up Pedro made The Daily Beast's list of The Season's Best Baseball Books! 4/2015 I really enjoyed doing this Q & A about Growing Up Pedro with Chad Finn, on his Touching All the Bases blog. 3/2015 Just got word that Growing Up Pedro is already going into its second printing! Thank you to everyone who bought a copy. 3/2015 Check out my brand new online store, featuring signed prints from Growing Up Pedro. 3/2015 Growing Up Pedro featured in Sports Illustrated Kids. 2/2015 Growing Up Pedro is now available! 1/2015 Growing Up Pedro is a Junior Library Guild selection!